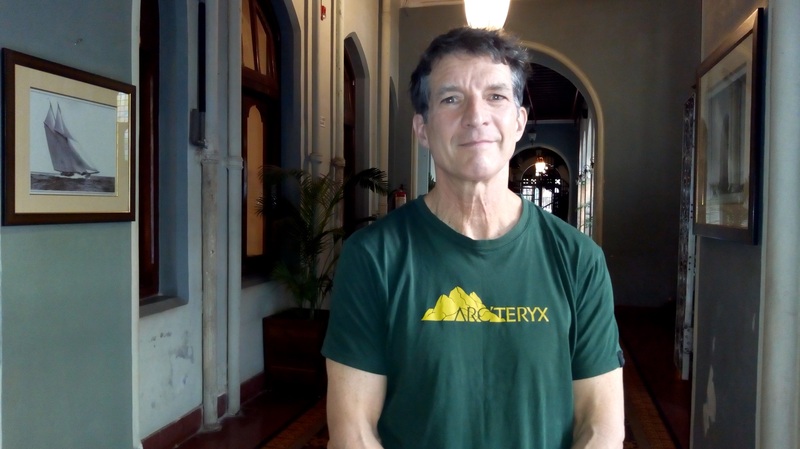 In February 2019, Steve Swenson, well-known mountaineer and former president of American Alpine Club was in Mumbai to accept the 2018 Kekoo Naoroji Book Award for his book: Karakorum – Climbing Through the Kashmir Conflict. Besides giving two talks that dwelled on his book and drew upon his wealth of experiences in climbing, Steve also participated in a panel discussion on risk management, safety and regulations pertaining to adventure sports. Thanks to accidents, litigation and complaints of environment degradation, the issue of regulating adventure tourism and adventure sports has been slowly gaining traction in India. On the other hand, poorly imagined regulation, harsh regulation, excessive regulation – these can stifle adventure. In the US, how well do you distinguish between adventure-seekers going out on their own assuming responsibility for their safety and conduct, and guided trips? Do individual adventure-seekers, doing so after years of training and frequenting the outdoors, also get caught up in the same rules and regulations as applied to guided trips? In North America, amateur climbers going climbing in public lands which would be mostly parks – they have to observe the rules of the park. They have to pay the entrance fee and in some of the parks there may be restrictions on the number of people allowed to visit certain areas. Amateur climbers have to fall within those rules. 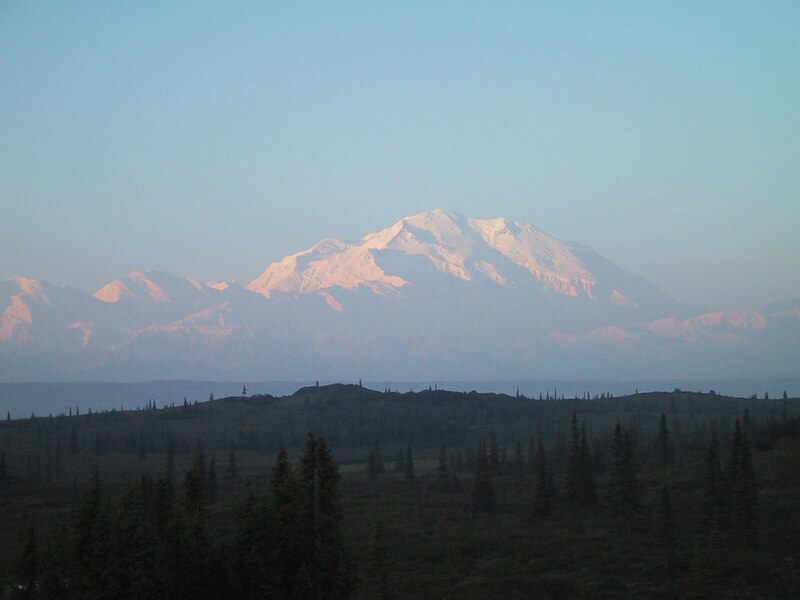 Some of the national parks on big mountains like Denali; they have a thorough permit and registration process even for amateurs. On Denali you have to register 60 days ahead, you have to go through an interview with a park warden who is an expert climber. On a big mountain like that, they like to make sure that the people who are coming are people who know what they are doing and won’t get themselves into trouble. They can’t tell them they can’t go. They try public education to minimize people who are clearly going to get themselves into trouble. I think the climbing community has done a good job educating people about issues like safety, environmental protection and stewardship and providing information about concerns like avalanches. There is a lot of education in the community to ensure that when you go out you have enough information to make a sound decision. There is a pretty big network on these matters. 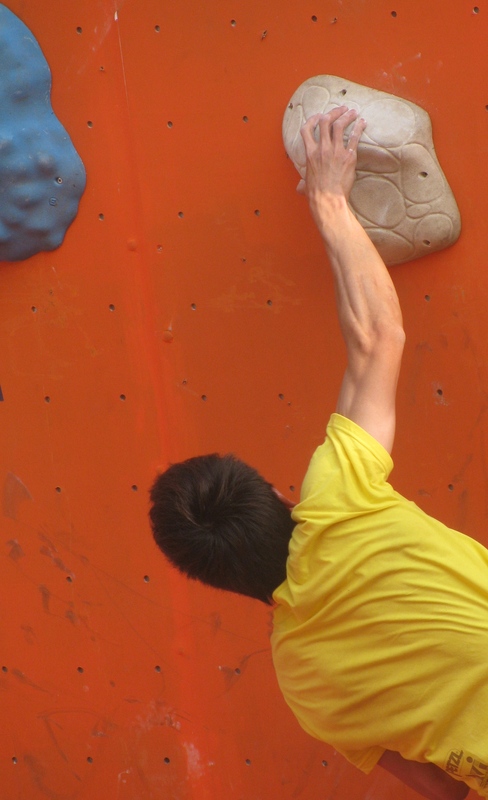 However, as the sport becomes more popular, I do see increasing numbers of inexperienced climbers out there. This is putting greater demand on the different climbing clubs and professional guides to try and make sure that all these enthusiasts are getting their outdoor education needs met. On the guided side – wherein people pay money to be taken on trips – there is much more regulation. The land managers at different parks, they need the companies involved to have permits to take clients climbing on public lands. They demand a certain level of certification to operate. If you don’t have certification and permits and they catch you for illegal guiding you will be in big trouble. When it comes to ensuring technical competence, In India, there is always the contest between the organic route featuring climbing clubs with you learning from others over a period of time and assigned institutes where you undergo an adventure course and receive a certificate. What do you follow in the US? There are multiple paths you can take to learn those skills. There are some people who never take a course, they climb with friends, read books, refer videos – they sort of do it organically. Then, there are clubs that teach outdoor education but these are formal courses. You have to sign up, pay for the course and you are taught by experienced volunteer instructors. It is a course with a curriculum and you have to complete it before you get a certificate. Then there are schools like NOLS or Outward Bound – those would be similar to the institutes you have in India. Then there are those who learn by hiring private guides and once they have acquired the required skills, go out with climber-friends and eventually, go on their own. From a land manager’s perspective – if you went to climb in a park for instance – is any one of these approaches deemed more acceptable officially than the other? No, no they wouldn’t do that. However, there will be caps on the number of people allowed in per day based on the land manager’s study of each valley’s carrying capacity. For example on a weekend, when many people turn up to climb, the land manager may say – this guiding company gets five, this other company gets ten and the amateur club over here, you get 15. They will be limited that way. But the land manager is not going to show any preference as long as everybody is following the rules. You have been president of the American Alpine Club. How important is it for you to keep the amateur category alive; how important is the amateur flame – if I may describe it so – to the sport? I ask this because increasingly in human predicaments like India, it is very tempting to conclude that guided trips are the way to go…. 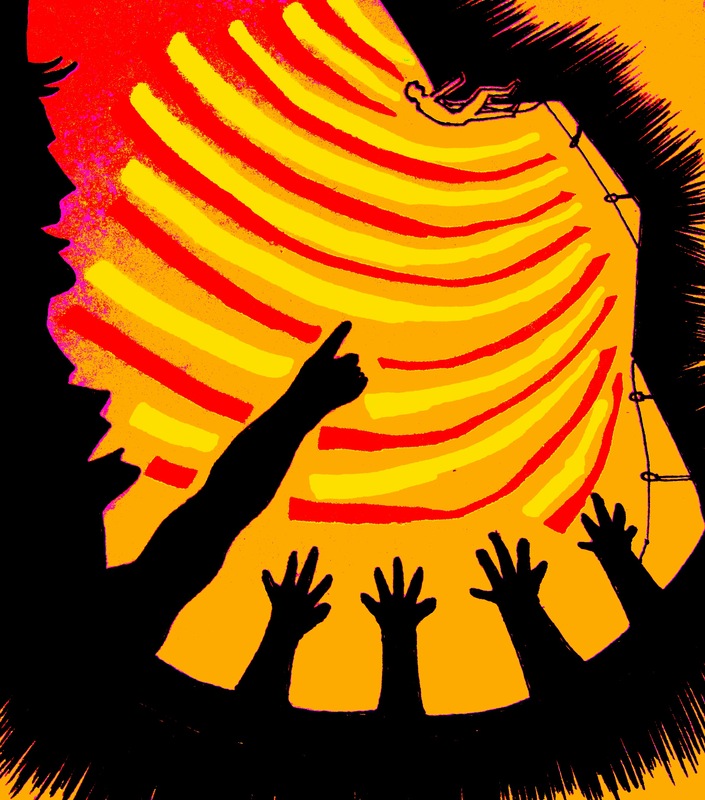 I think that if land managers decided that anyone who is climbing has to be part of a guided party, there will be this huge protest against it. People would go completely crazy if they ever did anything like that. Land managers would be flooded with protests. Elected representatives would be flooded with complaints. For people in North America, a lot of the appeal in going to the mountains is to experience that personal freedom, have your own adventure. If the government was to come in and restrict the kind of adventure that you are going to have, then, people would be really, really upset. That would never happen. Different things work for different people. I believe the land managers recognize that there has to be a variety of options. 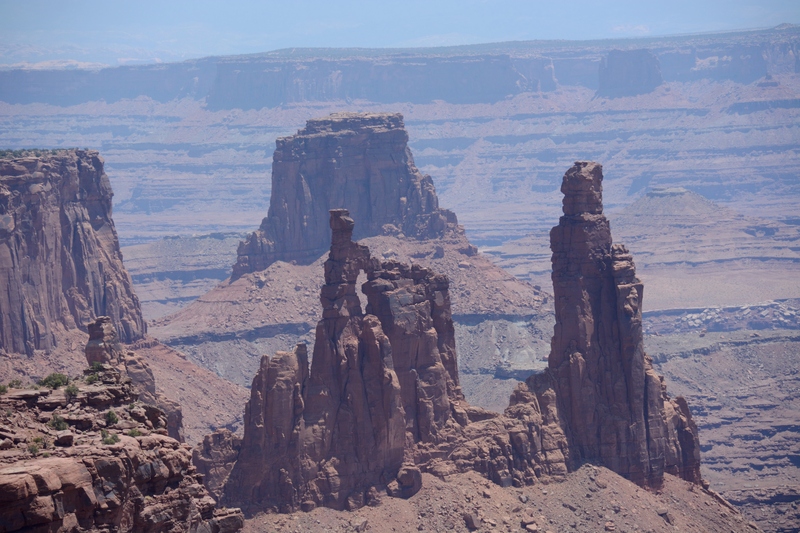 In some places, restrictions are stiff – rafting in the Grand Canyon being an example. The number of people wishing to do that often exceeds the carrying capacity of the place. If you are an amateur river rafter you can get a permit to go there but it is a lottery. When you get the chance you better go because it may be another decade before you win the lottery again. Some amateurs may argue that in such instances the permit regime is partial to commercial operators because they give permits every year to them to operate a certain number of boats. Your chance of winning a lottery is small but you could sign up with a commercial operator because they will be running boats that already have permits. How important is it for land managers in the US to be familiar with a sport in question? That is a challenge we face in India because administrators designing policy and implementing them are often not familiar with the sport. In the parks in the US, the people that are administering a climbing program – let’s say Denali, Yosemite or Mt Rainier, you know any place where climbing is a big part of what goes on – they are climbers. And they are usually good climbers. When you go to the ranger’s office you are talking to a fellow climber; someone who knows the mountain, knows what current conditions are and is familiar with all the rules and carrying capacity of the place. I have friends who are climbing rangers. On off days, we go climbing together. So they are as much a part of the climbing community as all the amateurs, guides and everybody else. They are very knowledgeable. Is there a lot of interaction and exchange of information that happens between the climbing community and the land managers? Oh yeah. Sometimes it is very co-operative, sometimes it can be a little bit contentious. In Canada, where I go ice climbing in winter; one of the biggest hazards up there is avalanches. If I want to know what snow conditions are like and if after my research I am still unsure of exactly how things are, I can just pick up the phone and speak to the park’s safety specialist and ask him. For the sake of clarity I wish to ask this: the tenor on the part of whoever is answering that phone is not to stop you from climbing…. No, no, that’s not their job. However if the rangers thought that where I was going is a bad idea, they would tell me. They can’t tell me: don’t go there. That’s not part of why they are there. But they may tell me: we think that’s a really bad idea and if you went there then the possibility of an avalanche killing you is quite high. So we would avoid that. But there are other situations, where historically the park managers and climbers have had a testy relationship. 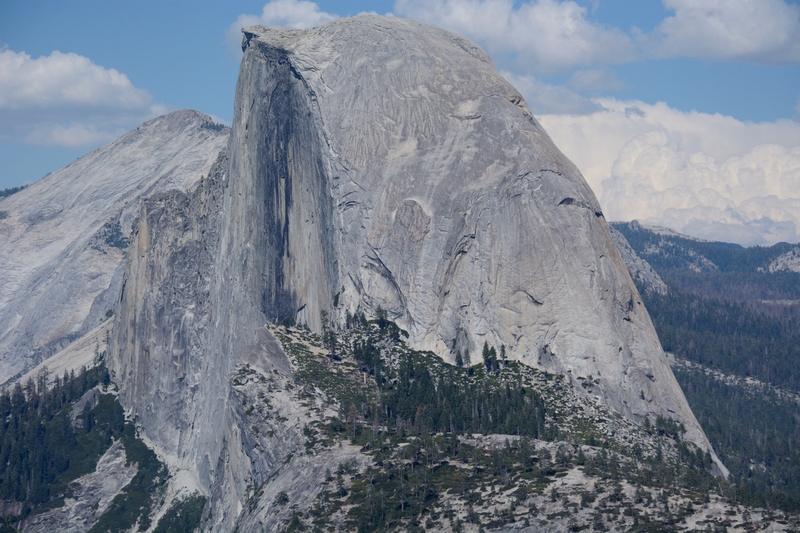 Take a park like Yosemite. It is an iconic rock climbing Mecca. That park is very crowded. They have all the problems that you would find in a big city, there. What the rangers have to do in a park like that is law enforcement. 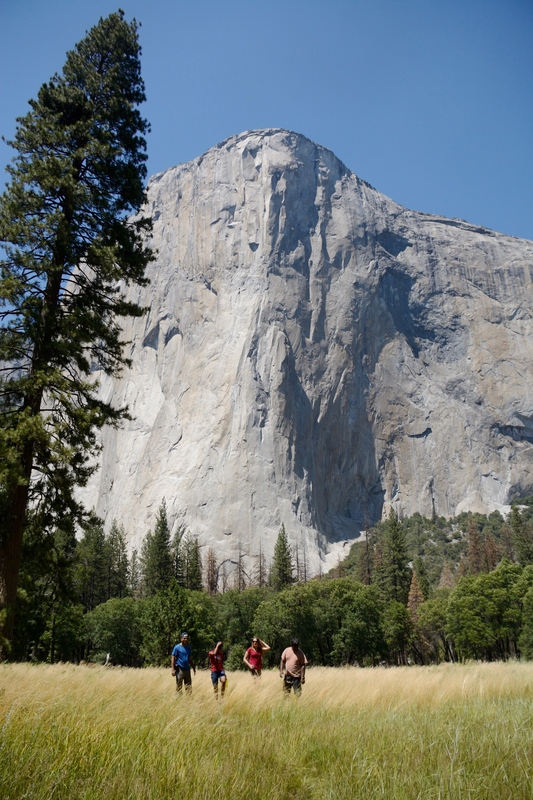 There’s not enough room in Yosemite Valley to accommodate all those who go there and camp. The climbers that go there, they want to live there; they want to stay there for months at a time. But the rules say you can camp there for only two weeks at a time. If you exceed, you deny others their opportunity. Rangers don’t allow that. The climbers then end up camping illegally. The rangers don’t like that. They go out at night to find them and then give them a ticket or they kick them out. Situations like this can create tensions between land managers and the climbing community because you are dealing with a limited resource – camping space. And climbers can sometimes be iconoclastic, you know be very adversarial towards rules and regulations and people in positions of authority. The rangers don’t like that. In the past in places like Yosemite, relations have devolved to being very poor. Now in such situations, organizations like the American Alpine Club do things to foster better relationship between the land manager and the climbing community. For example, in the past, the American Alpine Club has done things like pay for Sunday morning coffee and biscuits for the rangers. They are at the camp with the climbers and it becomes an opportunity for both sides to meet and interact, get to know each other better. At the Himalayan Club meeting, you would have heard about how the need for Indian states to frame rules and regulations for adventure sports, commenced. In one instance, a case was filed over a fatal accident by the aggrieved party and from there the process started. In India, generally speaking, we are also at that stage where if tomorrow a marathon is held and somebody dies attempting it, the negativity of death outstrips the underlying fact that the person expired trying something he wished to, valued or liked. The US is a country strongly associated with litigation. How are fatal accidents in the outdoors dealt with in the US? Is there a strong cultural empathy for adventure, which works as bedrock in such situations or is there the tendency to stop adventure because somebody died? I am not a lawyer, so I wouldn’t be able to answer that in detail. You should ideally talk to a lawyer in the US who has experience dealing with recreation. At my level, my understanding is that in the past there have been instances like somebody put a harness on incorrectly, they fell out of the harness and died and their family sued the harness manufacturer. This did happen some thirty years ago. When that happens, the whole community sort of rallies around the gear manufacturer and offers assistance to defend the business because they don’t want the litigation shutting down their sport. And they don’t want that litigation leading to a situation where nobody makes harnesses any more. There have been a number of such cases in the past. Most of the time, the gear manufacturer or the guide service provider – they are able to successfully defend themselves. In the US, there is probably enough case law by now (for such defence)……unless there was gross negligence (involved in given case). There is also over time a legal standard that the gear manufacturers and service providers have to live up to. If they live up to that then the case law sort of kicks in to protect them. Guiding services, clubs – anyone who enrolls (at these facilities) has to sign waivers, which recognizes the sport they are getting into as dangerous and potentially fatal. Everybody participating is required to read and sign waivers. If you go to any indoor climbing gym there is a whole waiver process you have to go throw. Waivers have to be renewed every year. It’s a requirement in everyone’s insurance that they go through this to establish the legal standards of what they got into. I think all this has got pretty standardized in North America that people feel they are protected. It doesn’t hold the sport back. It’s the same with access. In America we have something called Access Fund, which helps put in place the necessary standards so that the land owner does not have to worry (about being held liable in case of accident) if climbers access his property to pursue their sport. Would you say that there is also this angle of how each culture – maybe human predicament – relates to adventure? For instance, at the Himalayan Club discussion on risk management and safety, there was this observation or something very similar: lower the risk, increase the adventure….. I don’t agree with that observation. I don’t think it is adventure if the risk is low. I have given talks on adventure and risk. I often speak of something called the adventure point. For me the adventure point is – on one side you have risk and on the other side you have ability. If your ability is high then the risk is low and that is not quite adventure. If I go and climb a rock that is really, really easy for me it is not going to be that much of an adventure. If my ability is low compared to what I am trying to do, then the adventure is high but so is the risk. I could kill myself. So to me, what I call the adventure point is where you have these factors in balance; where risk and ability sort of balance each other. You push yourself as hard as you can to be reasonably safe. There is a video on the Internet of you giving a presentation to The Mountaineers in which you speak of the growing number of gym climbers and the need to acquaint them with the outdoors. Can you elaborate on this issue? I’d say clubs like The Mountaineers are old fashioned clubs, like the Himalayan Club. They offer these basic courses and take people outdoors. It is a bit like what probably happens in India at any of your institutes – they teach you a basic course that is a mile wide and an inch deep. In other words, they teach you a little bit about a whole bunch of different things ranging from camping to rock climbing to snow and ice climbing to crevasse rescue to navigation – all that stuff. You get to know a little bit about a lot. And then what happens is that when you take an intermediate course, it would be like layering up. When you do that for many years, you actually end up knowing a lot about a lot of things. In North America now, nobody learns like that. It’s got flipped on its head. It’s completely upside down. People now learn a lot about a narrow part of that information base. Like rock climbing – they start in a gym; they get really strong, they know how to train, they know how to clip bolts, they are way stronger and have more technical skills. But if you took that person outdoors and asked them to navigate their way through difficult landscape from point A to point B, they would have no idea how to do that. In North America, all these people coming out of gyms – their outdoor IQ, if you call it so; is low. There are special courses now that clubs are teaching, knowing that they are really strong in some areas and weak in these outdoor skills. They teach these outdoor skills, they don’t try to teach them stuff they already know. Gyms in the US now offer a course called Gym to Crag. It is just teaching people how to go outside. It isn’t just about sport climbing outdoors it is also about aspects like taking care of the environment, stewardship, dealing with human waste, handling pets etc. The only people learning the old basic courses are a small number of people at old fashioned outdoor clubs. So in retrospect there is value in the old basic courses…. There is value. But at the same time it is important to recognize – you can’t be somebody who is wishing for the past. I say: wake up. This is not how young people do it now. We have to adapt and change to how people learn now. If you can’t, you just need to accept it and go away. I would say that for ninety per cent of people in North America who are getting into climbing, their first exposure to the sport would have been at a climbing gym. During your talk at the Himalayan Club, you mentioned about your experience climbing with young people. You spoke of how you hold yourself back on climbing trips and intervene only when needed; you also spoke of things that you learnt from young people. Can you tell us some more about what it is that you learn from them given you have already spent almost five decades in climbing? One of the big changes in climbing is that climbing has become much more of a mainstream sport. People are now developing sophisticated training specifically for what we do. In the past you couldn’t go to a shop and buy a book on how to train for climbing. Today you can not only do that, you can also buy books specifically on how to train to be a boulderer or sport climber or alpinist. You can also hire a trainer. That kind of formal training for the sport is new to me. The young guys grow up with these training programs. When I hang out with them, they give me insight into these programs or provide me tips on what to do to improve. One of the things I am not good at in climbing is – power. You must have noticed this – when you are climbing in the high sixes you can do things pretty statically. But to break into the sevens, you have to be comfortable making dynamic moves. To do that, you have to be able to pull hard. So one of the things young people helped me with was – Steve you got to work on your power; here’s how you do that. When we climbed Saser Kangri II, in 2009, it was very difficult on a mountain like that to find a place to set up your tent at night. Everything around is tilted up or down. There is no flat place. In the past, we spent time looking for a place. There was nothing; we just wasted time looking. When we went back in 2011, the young guy said: we are not going to do that. We are not going to waste time. We will keep climbing and when it gets dark, we will camp. We will just figure it out. And he was right – we did figure it out. Another thing I learnt from young people is – how to go lighter. Equipment is always changing and it’s hard keeping up with it. It isn’t just technical climbing equipment it is also clothing. The young guys are really into it. If I want to get a new piece of gear, I just ask them. 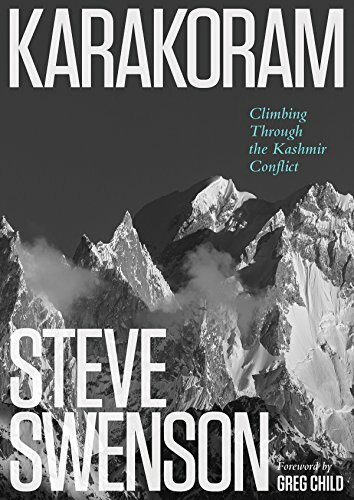 Steve, your book Karakorum – Climbing Through the Kashmir Conflict won the 2018 Kekoo Naoroji Book Award. Can you tell us how this book came about? I never really had an opportunity to reflect on my many expeditions spanning some thirty five years. When I came home from a trip, I would get busy with my profession and family. So I wanted to go back and examine what that was. I think that was the primary motive – see what we were doing, what it was all about. It was all these things that I had done but I really didn’t know much about. One of the big things that I realized during the writing process which I didn’t know going into it, for example, was that – when we were on K2 in 1990, we had a big dispute on our team between the four climbers and these two support guys. The two support guys – they came from Australia, they were the friends of one of the climbers – they were quite inexperienced. They didn’t have proper footwear for instance. 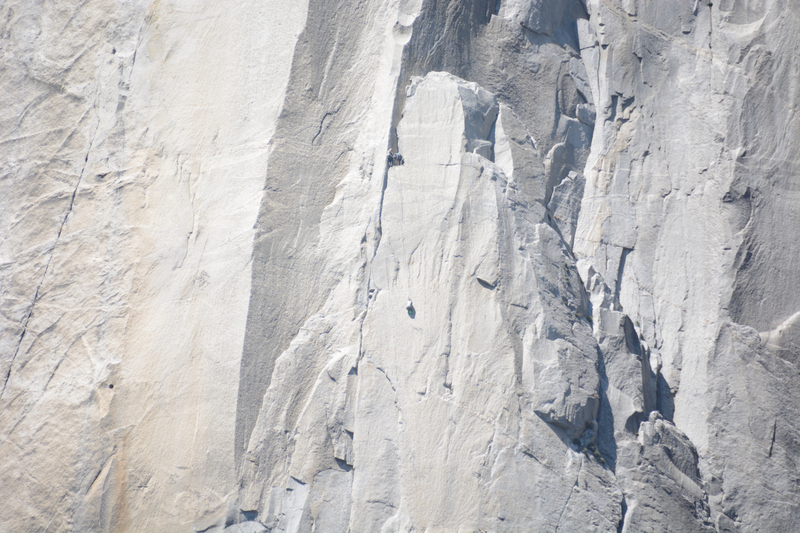 As soon as we saw that, the remaining three climbers said, they are not going up. It turned into a big dispute. At the end of the day, we came up with a compromise. We let the two guys climb up to 7000m using fixed ropes we put there. There were also restrictions like they shouldn’t use the food we had brought up. We compromised so because we were a four person team and we wanted all four climbers working. The process of reaching that compromise felt a little bit ugly at that time. It felt so particularly when juxtaposed on the traditional idea of the brotherhood of the rope. I left it there. But when I started writing the book, I began thinking more and more about it and you know – that was a really good team. In reality these trips aren’t about people sitting around holding hands. You got to work through tough situations and work out compromises to keep teams together. Until the writing process, I hadn’t thought of it and figured it out. The tragedy is that we didn’t know it then. Now we can look back and say: we made a good team. You have spent over fifty years in climbing. You mentioned at the Himalayan Club meeting that you waited a decade for your first major summit. You said it in the context of reminding the younger generation to take things a little slow, be more patient. Can you elaborate on this point? There is this young guy that I climb with in the Canadian Rockies. He has only got three years of experience and he is doing expert level stuff. He is a very talented athlete. He is a classic example of someone who is very strong, has a lot of athletic skills but he does not have the commonsense – you know practical knowledge of the entire landscape he is practising in – to be safe. So I am worried about him. Just last week, he took a hundred foot-fall and broke his scapula. He was lucky; he could have got hurt way worse than that. It doesn’t surprise me. I try to communicate that at least for me, it took a long time to learn how to be safe in a complex environment. Maybe I am a slow learner. But you are not going to do it overnight. The word I use a lot is patience. You got to learn to play the long game. When you are young, you are playing the short game. If you want to live to being an old guy like me, you know, you got to take it a little bit slower. Realize that you can’t learn everything that you need to know about what you are doing in a very short period of time. It is the nature of what it is. It is complicated. Looking back, at any point in your career, was climbing ever a proving ground for you? That you got to prove that you are somebody by doing it? No. It never felt to me like a proving ground. One of my favorite expressions is: every day is a school day. To me, it has always felt like a learning environment; never proving ground. 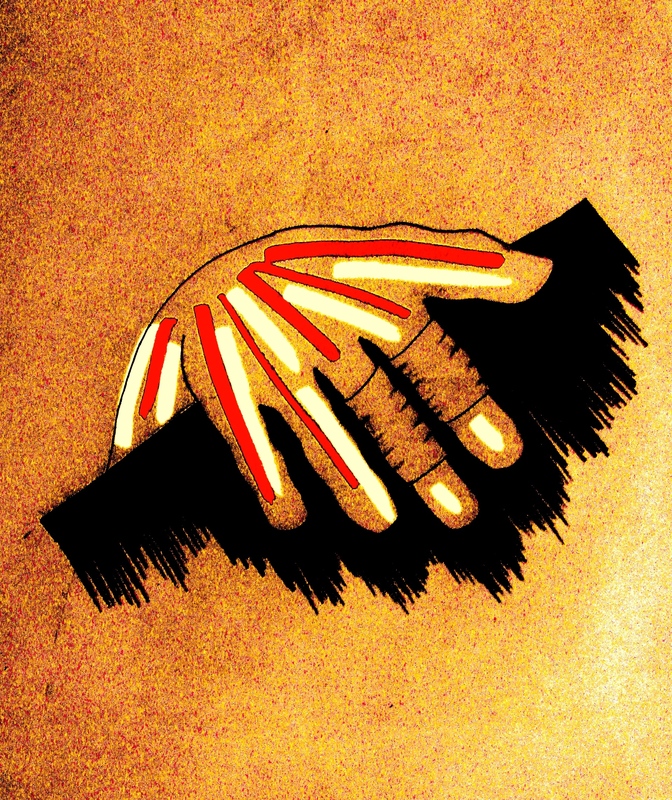 If I felt that it was a proving ground, I’d be dead by now. That is not a sustainable way to be doing things. It is like this kid who took a hundred foot fall. He is desperate to be recognized by the climbing community as this tough guy. If he doesn’t get over that, he will get killed. I have told him so. The sport is not about that. I have written about it in the book – you know we were putting tremendous amount of effort into these trips that were not getting us to the summit. But every one of those trips was getting us closer. We did this one better than we did last time. We didn’t quite get to the top but I really feel better about how I did it. I could see that if we stayed on that trajectory then eventually we were going to succeed. We were going to have success in a way we felt in control. You know, not like – I made it to the summit but I almost died. That to me would feel like failure. I wanted success to be the result of a learning process and not the result of being crazy. That learning process – I really enjoy it.